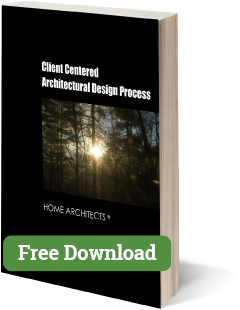 This is a free pamphlet for you to download & print, courtesy of HOME ARCHITECTS ®. 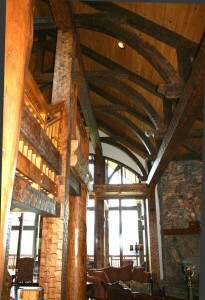 (C) Copyright 2011-2012 Home Architect, PLLC : All original photos of architecture and text. You are licensed to copy this pamphlet in its entirety and pass it along to others, making no changes. An architect is the only design professional, who through education at major universities, internships, comprehensive licensing examinations, decades of exhaustive experience, and ongoing continuing education, that has the training, abilities and vision to design your residence and buildings and guide them through construction into becoming real. 1. YOUR HOME IS A HUGE INVESTMENT ( make sure capable people design it). 2. EXCITEMENT & SATISFACTION OF GETTING WHAT YOU WANT. 3. WHAT YOU WANT DOESN’T EXIST IN BUILT HOMES (that you can buy). 4. WHAT YOU WANT DOESN’T EXIST AS A DESIGN. 5. YOU ONLY WANT A PRO. 6. ENERGY EFFICIENCY, LOWER MONTHLY UTILITY BILLS. 7. BIDDING/PRICING MANAGEMENT EXPERIENCE to help obtain a reasonable construction cost. 11. THE MOST BANG FOR YOUR BUCK. Falcon Cliff Lodge, designed by Rand Soellner Architect (C) Copyright 2004-2011, All Rights Reserved Worldwide. 12. LOW PROJECT VOLUME (FOCUS ON YOUR PROJECT). 13. DESIGN EXPERIENCE: Efficient, Functional, Convenient Arrangements. 14. VALUE & PRACTICAL SENSE. 18. EXCELLENT ECONOMY IN WHICH TO BUILD A HOUSE. 19. YOUR ARCHITECT IS ON YOUR SIDE, to help you. 21. SITE ANALYSIS (UNDERSTANDS YOUR PROPERTY). 22. DESIGN & CONSTRUCTION DOCUMENTS. 24. YOUR ARCHITECT LISTENS TO YOU . 26. COMPUTERIZED PROJECT DOCUMENTS (accuracy, speed, coordination). 27. YOUR ARCHITECT (Rand Soellner) WANTS YOUR BUSINESS & YOUR PROJECT. 28. RESPONSIVENESS WITH A CAPITAL “R”. 29. 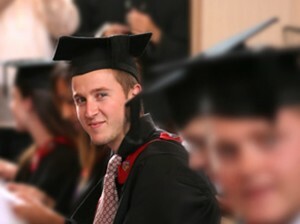 PASSION, HEART & SOUL, DESIGN QUALITY, ENTHUSIASM & POSITIVE ATTITUDE. 30. LICENSED PROFESSIONAL, Degreed, Registered, National Architectural Certifications. 31. 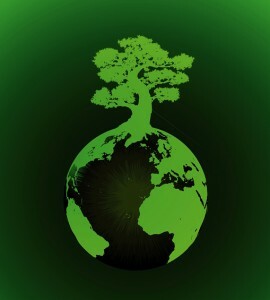 GREEN RESIDENTIAL ARCHITECTS (helps you; helps the environment). 32. BEAUTIFUL AESTHETICS. You want your home to look special. 33. YOUR ARCHITECT WANTS YOU HAPPY. (He is here to please you). 34. YOUR ARCHITECT HANDLES ALL THE COMPLEX ISSUES SO THAT YOU DON’T HAVE TO (making your participation in the house creation process much more enjoyable). 35. DIRECT ACCESS ( no menu-trees, no secretarial barriers, no message service requirements). 37. FURNITURE LOCATIONS & ARRANGEMENTS DESIGNED AS PART OF THE HOUSE. 38. ARCHITECTS SOLVE YOUR PROBLEMS. 39. ARCHITECTS SEE THE BIG PICTURE. 40. YOUR ARCHITECT KNOWS WHAT TO DO. 41. YOUR FIRST CONFERENCE IS FREE (at architect’s office). 42. ALIGNMENT OF YOUR WISH LIST AND COST. 43. YOUR ARCHITECT CAN PROTECT YOU AGAINST UNLICENSED CON MEN POSING AS BUILDERS. 44. ARCHITECTS KEEP YOU ALIVE: a stronger house. 45. NEW WALL TECHNOLOGY: keeps your house drier & more energy efficient. 46. SEPTIC CONSTRUCTION PERMIT REVIEW to keep you out of trouble. 47. THE VALUE OF AN ARCHITECT: ROOFING your Architect can save you many times the cost of his fee during the life of your house, just for roofing alone. 48. A BUILDER CAN HOLD YOUR DESIGN HOSTAGE get your design from an Architect. Cottage designed by Rand Soellner Architect. 1. YOUR HOME IS A HUGE INVESTMENT (make sure capable people design it). Your home will likely cost several hundred thousand dollars, perhaps more, depending on the size, location, features and materials you desire. Would you buy your car or SUV from a few people who say they “make cars” but are not Ford, GM, Chrysler, LandRover, Hyundai, VW, Subaru, Toyota, Porsche, or one of the other major vehicle manufacturers? And those same people proposing to build your vehicle had no licenses, degrees, education, experience or other certifications? And your vehicles probably cost a lost less than your house! You are in your house during serious weather situations, when you need your home to shelter and protect you and your family; like during high winds, snow & ice storms, earthquakes, heavy rains, extremely hot, humid, dry conditions and other devastating situations. If your house hasn’t been designed to handle those conditions by knowledgeable, experienced, licensed real architects, you and your family members can have serious consequences or even die. Just as if you bought a vehicle from some guys who threw it together in their garage, then you took your family in it on a long trip at high speed. You certainly would never consider that. So why take chances with your house? Your residence is what you and your most-loved family members live in. It is just as important, if not more important than your vehicles, don’t you think? You want your residence to be a healthy place in which to live: this takes skill and decades of experience to design your house to start out healthy and stay that way. Energy costs keep rising; you need your house to sip, not guzzle energy. You may believe that your insurance policy will protect you if you purchase an improperly designed house and it falls down, rots, grows mold that makes you sick, bankrupts you with rising energy costs, or other serious situations. Not necessarily so. Insurance companies can have clauses in their policies that do Not cover improperly designed houses. Protect what may be the largest investment you have: your house, by having it designed properly by an architect: HOME ARCHITECTS ®. You have a giddy feeling. You know you want a Special dream house for yourself and your family. Nothing ordinary will do. You want something special and you know you need a design professional to help you obtain your goal. You cannot find any existing house that has been already built and that is available for sale that satisfies what you want, for the price you want to pay. You have looked and looked online and in magazines and in plan books and while you may have seen a few room arrangements that might look like they could work for you, you really cannot find the overall, total house that fulfills ALL of your needs, desires and dreams. You are unique and what you want doesn’t exist. You do not want to trust the integrity of your new house to anyone other than a licensed, real architect; one that specializes in residential design. You live there. Your wife or husband lives there. Your children live there. You want a licensed, degreed professional to design your home. You wouldn’t trust a your neighborhood grocery butcher to handle your upcoming bypass operation; you want an M.D. and one that is a cardiac surgery specialist. Why would you trust the design of your house to anyone but the most skilled designers of homes on the planet: residential architects. Architects of houses have: top accredited university educations, degrees, internships, successfully passed a grueling multiple day exam, has decades of experience, licensing and State & professional organization monitored continuing education. HOME ARCHITECTS ® senior staff architect, Rand Soellner, is a member of the AIA (American Institute of Architects), ArCH (Architects Creating Homes) and is certified by NCARB (National Council of Architectural Registration Boards). You want an energy efficient house that lowers your monthly utility bills. Over the years, this savings can more than pay your back for your investment in your architect. Rand Soellner ( staff member of HOME ARCHITECTS ®) is one of the rare few luxury custom residential architects in the World that qualify to be Energy Star Partner Architects. Check around. You’ll probably not find many, if any, others. First, they are very good at what they do, having been involved in cutting-edge energy efficiency designs since the 1970s, including being the architect that performed the Site Search Analysis, Site Selection, Programming, Master Planning, Site Planning and Concept Design for the New Florida Solar Energy Center. Second, the firm still designs commercial projects, which the DOE/EPA (Department of Energy/Environmental Protection Agency) requires to be an Energy Star Partner. The firm authors multiple articles on Green Architecture and continue to be leaders in energy efficient architecture and energy conservation architecture. The firm has unique specifications allowing you, as the house owner, to decide which Owner Optional Upgrades are right for you and your budget. What does this mean for you? Lower monthly energy bills, a healthier residence and pride in knowing that you are using a professional that designs and manages their projects and yours in a manner that lowers the carbon footprint of your house on the Planet and uses less resources while providing a superior lifestyle experience in your dream house. The firm creates energy efficient houses and commercial projects. 7. BIDDING/PRICING MANAGEMENT EXPERIENCE TO HELP YOU OBTAIN A REASONABLE CONSTRUCTION COST. You want an experienced design professional, used to pricing and bidding out residential projects, to manage your project bidding to help you obtain the very best reasonable pricing from interested, cooperating qualified licensed contractors. That one item in and of itself can more than make up for the architect’s fee. This can result in possible savings in the tens of thousands or even hundreds of thousands of dollars for this service. 8. HEALTHY HOUSE (Can help you live a longer, healthier life) . You want a Healthy house. You want a licensed architect familiar with Healthy Design (one subset of Green Architecture) to create your house. This means clean air for your children to breathe, no toxic off-gassing from unhealthy products, and construction procedures that leave your house clean after it is done being built. How much is the health of your husband or wife, daughter or son worth? Priceless. Residential hygiene can result in you and and your family living longer, healthier lives. Your investment in your architect from this standpoint is priceless. Senior staff architect, Rand Soellner’s brother was an executive with Service Master for 26 years, managing the cleanliness of major hospitals, educational facilities, nursing homes and other project types, as head of housekeeping and main corporate trainer (he trained the trainers who trained the staff for numerous facilities across the USA). His brother shared much of his knowledge about how to build in cleanliness and hygiene into the built environment, which Rand Soellner uses in the design of every project he creates for each client. This is special, detailed, insider knowledge with which most of America is not familiar. You want to capture certain views from your land. You are concerned that a builder or anyone other than a licensed architect might not have enough design abilities to understand how important these views are. Builders build; architects design. You have certain constraints with your land that require a sensitive solution from someone having excellent design skills. You want the best value. Architects can help you prioritize your desires into options that allow you to be the one in control of how and where you spend your hard earned money. Architects skilled in Value Engineering can help you obtain the best prioritized value. The firm evaluates projects to indicate economical ways to build your project. -The company is one of the best Home Value Engineering architects on the planet. – Base Bid Pricing Strategy (BBPS) (an exclusive from HOME ARCHITECTS ®). The firm designs your project using what they feel are the most economical systems and materials (that are still durable) for your BBPS, insuring that you receive the very best possible pricing for your project. The company wants to help you obtain the best value. – Lowest possible bids from interested qualified licensed general contractors due to BBPS (above). – You determine the ultimate cost of your home based on Your choices. You are in charge! 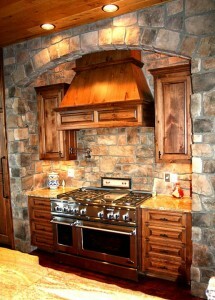 One of HOME ARCHITECTS ® Gourmet Kitchen designs in Tennessee. HOME ARCHITECTS ® does not handle thousands or hundreds or even dozens of projects each year like some pre-designed “plans-mill” firms. The firm are nearly exclusively custom. What does this mean for you and your project? 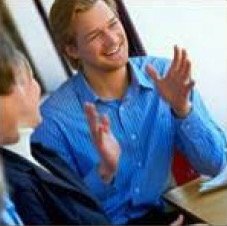 You are treated with the special courtesies and our devoted focus on your project. The company is not scattering its efforts across hundreds of projects. You are receiving the attentions of our top licensed architect, Rand Soellner AIA/NCARB himself, designing your project. The company doesn’t just dream up “plans” for no particular client, then try to sell them to you. Rather, the firm designs their projects around your unique lifestyle and your site. The firm is architects of houses. If you really want to purchase an existing project design, they can accommodate you, knowing that it was conceived for real clients with real needs, which means these designs have substance and attention to detail to satisfy the desires of real people. And creating custom house designs for real people makes all the difference in the World, and you need an architect with a low yearly project volume to be able to do that, so your needs don’t get lost in the shuffle. You are paying for and you get this firm’s undivided attention, solving your residential design. 13. DESIGN EXPERIENCE WITH EFFICIENT, FUNCTIONAL, CONVENIENT ARRANGEMENTS. Experienced residential architects know how builders obtain the least expensive prices to accomplish building your house, and yet, in addition to these cost-saving methods, architects also have the design abilities and analytical skills to make sure that the aesthetics (the beauty) of your house design is maintained. HOME ARCHITECTS ® are custom residential architects designing your luxury residence around your lifestyle and your fabulous views, like this Retreat design of ours, shown under construction in Sevier County, TN, USA. – Room/space orientations that place as many rooms as possible looking at your best site views! – View Dining looking at your great views! – Outdoor covered living areas right on your fantastic views! While some builders might cut everything to get down to the bone on your budget, an architect can do that, however, the architect will also point out that for just a little bit more, you might be able to obtain a lot of value. The architect will take the time to draw your attention to these things that can mean so much, years into the future. 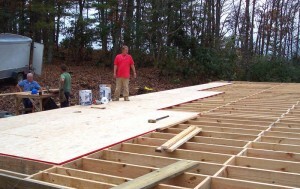 For instance, there is a roofing underlayment that might cost an extra one or two thousand dollars on a normal size house, and this underlayment is virtually guaranteed not to leak, if installed in accordance with manufacturer’s instructions. That’s a value that most homeowners would want to know about. Resale value/ resale speed. An architecturally designed residence can be worth more than standard builder houses, and the architecturally designed houses can sell faster, if competitively priced. In a challenging economy, you need every edge you can find in the housing market. You may end up realizing that your investment in your architect has paid you back many times for this one consideration. A house custom designed to your every wish fits you like a glove, saying “Yes” to your “yes” at every turn. Everything is a pleasure, with none of the frustrations you have had living in other people’s used houses that you have purchased in the past. You have indulged yourself with the purchase of that dream vehicle you wanted for years, why not indulge yourself with your dream house? You work hard. You love your family. You bought that special piece of property. Now is the time to engage your favorite residential architect and get him or her busy on your dream house. It is hard to put a price on satisfaction and enjoyment of your life. Your architect can help you accomplish this. Today’s Economy is a real value for housing. Construction costs for housing are at a decade’s low price. So is real estate (land). Take advantage of these low costs now before they go up again. Today, you can have your dream house designed and built for a fraction of what it would cost under normal economic conditions. Your architect is your advocate. He or she has one mission: to get you the house that you want. You really need that simplicity of direction helping you through this complicated process. You need someone looking out for your interests, just like your doctor, lawyer or accountant. Only an architect has the special education, training, experience, and heart-felt desire to design your house. They were born to do this for you. They balance aesthetics, economy, function, life safety, energy, regulatory requirements, site constraints, privacy and public exposures, imagery, style, and a host of other issues to result in the creation of your unique residence. Not everyone has these skills or sensitivity. Your architect is one of the few people on the planet that can hear what you have said you want, then look at your building site and understand how your house might sit on it and where to best build it to save you money. Your foundations can be a significant expense, if your residence is not sited properly and economically. This one facet alone can more than pay for your investment in your architect. You may refer to them simply as “Plans.” They are much more than that. An architect is the only licensed professional, through education, training and experience, that can provide you with legal drawings and specifications detailing how to build your residence. 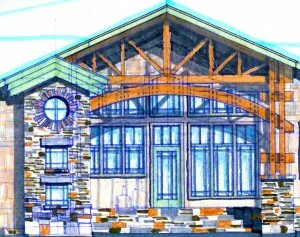 Prior to these Construction Documents (CDs), your architect will create varying degrees of Design drawings and sketches that provide you with the design vision divined from your stated wishes and converted, through the architect’s practical and artistic vision, into an actual proposed design arrangement for your review, possible modification and approval. Proceeding to build without adequate professional documents is difficult, dangerous, time-consuming, can result in unexpected and expensive changes during construction and your project could possibly be “red-tagged” (stopped) by your local building department. An architect produces extremely high quality documents. Part of an architect’s training and apprenticeship includes demanding critical analysis of everything he or she does, especially focused on the documents they produce. Most architects produce their documents on computers these days, which makes their details and dimensions very accurate. Precision is part of the reason you have an architect involved. They do things professionally. They position the features of your house in 3 dimensions, locating them in X,Y and Z coordinates so that your builder knows where to place them in the built structure. And having detailed, thorough construction documents eliminates most of your builder’s questions, which means the builder’s pricing can be accurate from Day-1. And you should benefit from your architect’s detailed, accurate documents, because contractors traditionally will bid higher prices for unknown conditions and sketchy documents. Having precise documents from your architect should allow your builder to provide you with reasonable pricing for exactly what has been designed. This also allows your construction to proceed faster, because your builder will have fewer questions to resolve. And normally, faster construction = lower price. 24. YOUR ARCHITECT LISTENS TO YOU (wants you to be happy). You may have discovered that other entities in the construction business are trying to sell you a certain package of materials, or a certain pre-existing something. Your architect is the one who carefully listens to you, hearing what you want and he or she takes notes and asks occasional questions to clarify your desires. You will discover that the dissatisfaction you may have felt dealing other so-called designers at construction companies and other material companies evaporates when you find yourself with a real architect. The real architect listens and hears what you want, then makes sure you get it. The real architect has only one objective: to make you happy by designing the house you want. No other legitimate entity in the housing industry has this fiduciary relationship with you. Your architect can help you by reviewing the contractor’s pay requests and comparing them with the work accomplished to insure that you are getting what you are paying for. This is especially important if you happen to be at some distance from your jobsite, or if you are not skilled in construction matters. Your architect can also help you obtain warranty services after you occupy your house. These construction administration services alone can more than pay for your architect’s fee. HOME ARCHITECTS ® have been doing this for so long this way (by computer) that they were recently amazed to learn that there are still other individuals and companies still stubbornly drawing by hand, reproducing the same old things in the same old way, and at greater expense to you, because that takes longer, and is highly inaccurate, which can cause big problems for you and your builder during construction. This firm draws their house plans and residential designs and commercial and themed projects on the most widely accepted CAD (Computer Aided Drafting) design software in the World. Why? Because their commercial and governmental contracts (such as on airports and high schools and the like) required them to produce their work on this software if they wanted to do business with the various entities. One of the firm’s computerized Construction Documents. 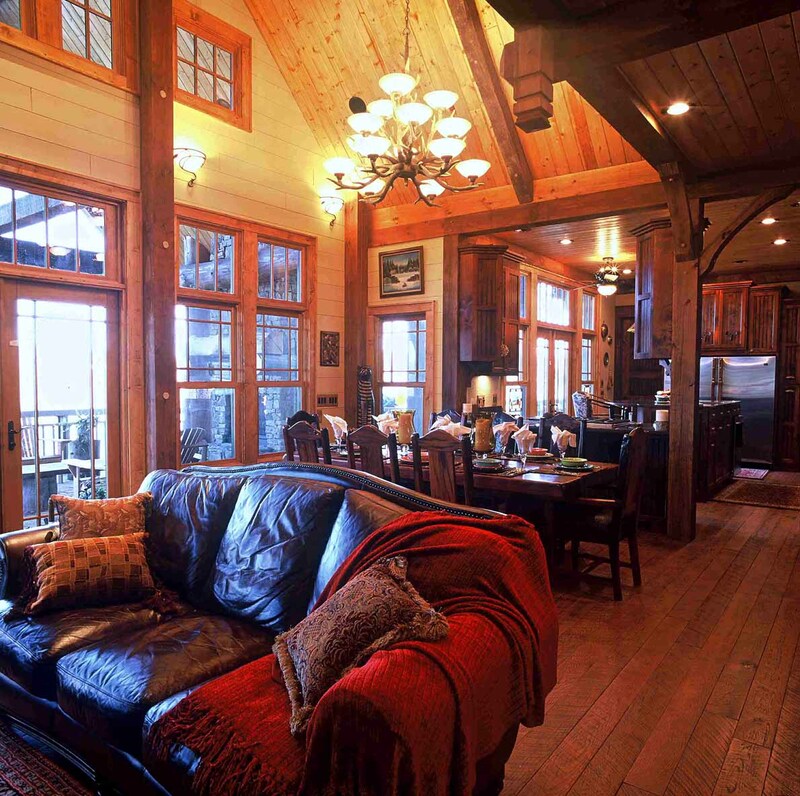 (C) Copyright 2011-12 Home Architect, PLLC. This firm has become very good at it. What’s the big deal? Why is this important? Because computer drawings exactly locate the lines and other objects on the computer drawing with great precision and even partially automate the dimensioning of the position of these lines and objects with respect to each other, in 3 dimensions (in the X, Y and Z coordinates), which is how builders understand where to position your walls, floors, beams, trusses, windows, doors and other elements. Having this preciseness allows your builder to swiftly build your project. 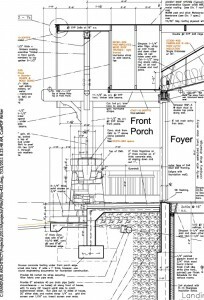 Not having this (such as with many hand-drawn documents) can create errors of dimensions or an outright lack of dimensions that makes your builder stop the job repeatedly to scratch his head and try to figure out where in space to locate the walls, beams and other components of your project. The company has also heard of house design hand-drawing firms redrawing their same old designs and charging you for this laborious method. This firm copies and pastes their pre-existing data on computer and saves you the expense. Also, their master specifications are on computer, right on drawings, so they are on every jobsite and you reap the benefits of having the most up-to-date specs on your project, edited for your job. Easy on computer; very hard by hand. Also, computer drawings are about 2 to 3 times clearer than hand-drawn drawings. This company precisely controls each line weight and color with computer settings and they print out drawings on white bond paper in waterproof ink. Contractors love these documents in the field; they report that they never before had such clear, precise house design drawings. Bottom line: saves your builder time and you money in the field due to more accurate designs and documents that are easier to understand and read. The firm also now includes the Contractor Bid Proposal Forms in Division 1 Administrative Specifications. Why? So that all interested participating builders pricing your project are being compared apples to apples. There is no wiggle room for misunderstandings and these documents specifically indicate how the builders are to price your project and what is and what is not included and what items are Owner Optional Upgrades and which are in the Base Bid Price. This firm has never seen this level of bid proposal management built into house design documents by any other firm. What does this mean for you? Clear, clean level-field bid pricing by your interested contractors to insure that you receive price proposals that include what your documents (that you have approved) say they are to include, and allow you to compare your various contractor price proposals against uniform standards, knowing that they are all bidding on the same things and not taking any liberties. The firm’s senior staff architect Rand Soellner, has experience on large, complex commercial and governmental projects, which gives the company the experience to be able to accomplish this for you on your house design projects and is one more reason you may wish to select HOME ARCHITECTS ® to design and manage your luxury house project. The company is a luxury residential architect creating custom house designs for people just like you. Come and visit the firm and see examples of their documents; you will understand why you will want this company creating your project. HOME ARCHITECTS ® humbly hereby ask for your business. The firm wants to be your residential architect for your house and commercial architect for any themed resorts. The company would love to design your house/project and will assure you of their appreciation in the positive attitude throughout your job. Thank you for your interest in the firm’s professional services. HOME ARCHITECTS ® staff answer their own phone. Senior staff architect, Rand Soellner, ArCH, AIA, NCARB, sits here working on projects like yours nearly every day of the year, so you can reach him. How many times have you called a business that you were paying, only to have to spend your time working through voice-mail menu trees? How many times do you punch the “0″ button on your phone, hoping to summon a real, breathing human being who will listen to what you want, then make it happen? When you call this firm, you get them. Immediately. On the extremely rare occasions when you cannot reach staff at our home-office phone or cell, staff will return your call usually in a matter of minutes. Have you every been frustrated because someone you have hired to do something important for you won’t answer e-mails or phone calls? Not this company! This firm realizes that you deserve to have prompt attention and have any questions or concerns addressed immediately. The firm takes their position of trust seriously and hereby pledges to you that They Will Be Available To You. The company is normally reachable by phone about 12 hours out of every day (no kidding!) and 24/7 with e-mails. The firm never allows e-mails or phone messages to stack up; those are checked frequently, although staff doesn’t get many voicemail messages because they typically answer the phone in person! They take the above for granted, but have discovered that many of their clients have expressed how refreshing it is to have a business as responsive as theirs, to take care of their projects; it is not what they have been used to with Brand X. The firm takes this “reachability” issue very seriously; you are guaranteed access to staff as clients. The firm wants you happy and we realize that part of that is being able to talk with staff whenever you need to do so. Residential architectural firms get a kick out of being custom house architects! They enjoy what they do! It is fun for them! They love what they do and it shows in their work. Architects will do everything they can possibly think of to help you accomplish your goals. For instance, HOME ARCHITECTS ® clients have called them to tell staff how much they love their houses after they move in. They say that there is an indefinable quality that gives them peace and serenity from their workaday world elsewhere; that upon arriving at the house designed for them, that they decompress, delight in the views the firm has captured for them, and appreciate the warmth and texture of the architecture embracing them and find themselves AT HOME. Some call this Design Quality and attribute mystical qualities to it. It is the overall connection of you, your lifestyle and your site, perfectly connected in Your residence. Some call it Heart & Soul. Whatever you may wish to call it, there is no denying that IT is in all of our projects…you start to feel a sense of anticipation as you approach your new house, perhaps when even a state away and your eagerness grows as you get closer. Until, finally you Are Home. Enjoy! Hire a registered, licensed professional REAL architect to design your house. It is Your residence, don’t you want the most qualified professional possible creating the place where you and your loved ones live? HOME ARCHITECTS ® senior staff architect, Rand Soellner, ArCH, AIA, NCARB is a licensed architect, registered in several states in the USA and he has chosen to focus much of his practice on residential design. There is a big difference between his experience and services than those of a mere residential designer. Want to know more about the differences and why you might want to hire a licensed architect? Real architects typically spend 6 to 8 years at major universities, being taught by highly trained and experienced leading architects. They earn legitimate degrees in architecture. They have to pass a grueling state licensure exam, adhering to nationwide standards. They have to apprentice under the watchful eyes of seasoned, experienced older architects, correcting and guiding their practice. They have to obtain licensure in at least one state of the USA in order to be legitimately called an “Architect.” They have to take yearly CEUs (Continuing Education Units) to stay up to date of the latest architectural issues. Their practice has to continue to be held to the highest standards of practice to be allowed to continue to practice. They take a sacred vow to protect the Health, Safety & Welfare of the public. No other organization has these requirements. That’s why only real Architects are so good at what they do. Rand Soellner also is a member of the AIA (American Institute of Architects-1st a member in 1982) and also has an NCARB certification (National Council of Architectural Registration Boards). Mr. Soellner has had his NCARB certification since 1990. Only the cream of the crop of architects attain this certification. It requires other experienced architects to be knowledgeable of your experience and attitudes and professionalism and for them to vouch for you, along with satisfied clients. It takes about 10 years of perfect practice in an outstanding manner. Rand Soellner now becomes licensed in just about any state throughout the USA through reciprocity because of his NCARB standing. Rand recently obtained his licensure in a seismic state (Washington) and can become licensed just about anywhere in a matter of a few weeks due to his NCARB certification. Recycling & Energy Efficiency is our Middle Name. HOME ARCHITECTS ® = one of the leading green home architects on the planet. Just look on Google or Yahoo or any other search engine. Out of over 50 million listings in this category, this firm is on page 1 and probably is frequently #1 or at least in the top 5 green architects in the home architecture category. The firm writes articles on Green Design, Energy Efficient Architecture, Energy Conservation and also describe tips for “Going Green 4 Less,” and have Checklists for design and construction. Senior staff architect, Rand Soellner, AIA was the design architect engaged by a major university to select the new site for the New Florida Solar Energy Center and also conceptually designed it, including a full color rendering of the proposed complex in Cocoa, Florida. You can’t get much “greener” than that. Many of the techniques that the company uses insures that your house sips energy and is a healthy place in which to live. Many of these techniques and are the result of decades of trial and error work as a practicing architect. Staff member Soellner has regular articles published on the World Wide Web and is recognized in the industry as a leading green residential architect. Having the company designing your project is good for you and good for your community and the World, helping make this a greener planet. 32. BEAUTIFUL AESTHETICS . You want your house to look special. Your new custom residence can have features like this! HOME ARCHITECTS ® houses are gorgeous! 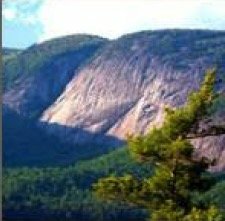 Rugged boulders, native rockwork, huge beams. As rustic or as elegant as you desire. Gigantic doors that retract out of the way, maximizing your amazing views! All architects want you to enjoy your unique vistas. When you have a house custom designed for you, your architect can create a special “look” that captures the heart and soul of your property and your lifestyle, turning it into a piece of art in which you live. 33. YOUR ARCHITECT IS HERE TO PLEASE YOU. It may not sound like an important consideration, but your residential architect is always working hard so that you don’t have to, and he or she honestly wants you to be pleased with the design, the documents, images of the design and the built product constructed by your Builder. This attitude of wanting to please you and make you happy is important. It requires attentiveness, a Can-Do spirit and willingness to work with you to help you achieve your objectives. (making your participation in the house creation process much more enjoyable). You can enjoy the fun aspects of creating your project. Your design firm will deal with and interpret codes, building setbacks and all the other complicated technical matters, leaving you available to enjoy events in the creation of your house. ( no menu-trees, no secretarial barriers, no message service requirements). This is sort of a subset of the “Responsiveness” reason. Only Direct Access in the HOME ARCHITECTS ® office means just that: call 1-828-269-9046 and you get Rand Soellner, the senior staff architect. Have you phoned another company and really needed to talk with the person for whom you thought you were paying? Have you had trouble reaching that specific person? Why? The company had voice menu-trees requiring you to do work to find that person by trying to figure out how to spell their last name? Or have you ever had trouble trying to get past a watch-dog clerical person who, to you, seemed like their job was to keep people away from the professional, rather that connecting you to them? Or how about voice mail? Ever left messages that did not get returned? None of us enjoy these situations. That is why you will experience a refreshing change with your residential architects. Call the number and you get them. No menu robots, no clerical hurdles to scale, and only a voice mail option if you happen to be calling at 4AM in the morning! You get through every evening, every “normal” work day, every weekend and well into the evening: usually up until about 9PM and starting at around 9AM Every Day. Including holidays. No kidding; try it. We know of no other professional anywhere on the Planet that offers you this convenient, direct access when You want it (just try calling your doctor, lawyer or CPA on a Sunday at 7PM). Architects know what to specify so that your house will last and have minimal maintenance. You, of course, affect many of those decisions, along with what you decide to accept from your builder. However, your residential licensed architect will always strive to indicate materials and systems and details that will keep your house stable, comfortable and requiring less maintenance than other options. Your architect seeks out materials and systems that are capable of resisting the environmental and human imposed forces, within certain tolerances. Various finishes and materials will have different requirements for painting/coating, cleaning and similar periodic upkeep. Your architect will seek to indicate those products that give you as much durability as you and your economic parameters appear to allow. (C)Copyright 2004-2012 Home Architect, PLLC, All Rights Reserved Worldwide. Designed by HOME ARCHITECTS ®. That china cabinet that you inherited from your mother. That giant mansion bed you and your spouse have owned since you were married. The historic sofa that grandfather made. All of these and more can be integrated into the floor plans your architect creates for you to enjoy in your proposed residence. HOME ARCHITECTS ® always indicates furniture on floor plans. Why? Without furniture, in particular, the furnishings you would like to use, you really don’t know if your floor plans work. What meant by work? Simple: will the furnishings you intend to use fit within the space, and do so in a functional manner that allows spacious and convenient pedestrian traffic flow from one room into the other? If you don’t know for sure, then you really need to have an architect indicate, to scale, the furniture on your plans. Things that may seem impossible to you, as a lay person, become transparent to a skilled architect. Architects solve three dimensional, functional, technical and aesthetic issues for a living. Design professionals have probably solved a situation similar to yours at some time previously. Trust your issues to a registered professional; they can get it done for you. A degreed, licensed, registered, and experienced design professional understands how everything relates to everything else in a building. Your architect guides you through the entire process with confidence. Structure, colors, textures, this type of roofing, that type of window, garage doors, flooring, insulation, codes, site requirements, driveways, septic fields, wells, landscaping, wall siding… only an architect has the expertise to understand how it all works together to result in something you can be proud of and enjoy for your entire life: your home. Designing a residence, analyzing building setbacks, code requirements, understanding cost implications, low-maintenance features, dealing with contractors, and other design requirements and construction complexities can be overwhelming to most lay people, not heavily experienced with construction. One more reason for an architect to design your house is that your architect has done this dozens, even hundreds of times. He knows what to do to keep your project moving forward in a positive manner. There are hundreds, if not thousands of decisions to be made. Your architect can help you make these and guide you toward a good solution that reinforces your design objectives. 41. YOUR FIRST CONFERENCE IS FREE. If you go to the HOME ARCHITECTS ® office, your first consultation to discuss your project is at no charge. You pay your own expenses to get to a location determined by the architect, then the architect will pick you up, have a nearly all-day long conference with you, show you various existing designs that might have some bearing on what you want, review your requests, study your site (if you provide GPS coordinates in advance), provide lunch and drive you to some built example(s) of projects designed by the company. You will discuss the architect’s terms of service and learn how the architect works on your behalf. Get things going; take advantage of this wonderful opportunity. Only available for people sincerely considering engaging this firm to design their project. 42. ALIGNMENT OF YOUR WISH LIST & COST. Every client has more features and more expensive items on their wish list for their house than they want to pay their builder to construct. This is human nature. We all want a good deal and we want what we want and don’t want to have to pay for it. Well, that really doesn’t align with reality. So, one of the biggest challenges facing your residential architect is to “Have The Talk” with you. This talk concerns revealing to you that the view tower you want that rises above your roof so that you can see the distant sights while you write poetry is likely to add a significant amount of cost to what you want to pay for the construction of your house. And the heart pine floors, while very nice, aren’t cheap either. Nor are the Sub-Zero and Wolf appliances with cabinet faces. Why? Because the contractors and manufacturers charge more for these features and items. And these are just a few examples. You would do well to listen closely to your architect while he is explaining this. Because, your architect will design what you want. 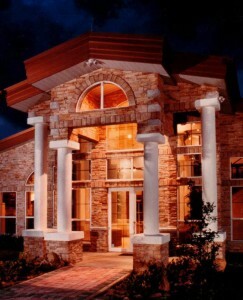 And if the high-end features you want outweigh any concerns you may have for your desired construction cost, your architect will ultimately include in the design what you have instructed him or her to include (as long as such features represent what your architect feels is good practice). You, then, are the one responsible for the cost of your house. If you do listen to your architect, then perhaps you and he or she can arrive at a design solution that simplifies what you may have originally envisioned, to give you 90% of what you hoped for, while substantially reducing the construction cost for your residential design. This alignment of expectations and adjustment to the realities of the construction marketplace is one of the best values your residential architect provides to you. If it is not offered, ask for it. You can benefit a great deal from this review and design adjustment. On the television show “American Greed,” hosted by the actor Stacy Keach, there are examples of shady unlicensed so-called “builders” who make a practice of bilking tens of thousands of dollars or even hundreds of thousands of dollars from their unsuspecting clients. By having an architect design and administer your project, you can have a professional (your architect) watching out for your best interests every step of the way. Having a new house or a renovation designed and built is a complex task. You may be tempted to engage a person to build your project who charms you with smooth talk and promises of great bargains. What do you know about such matters? Sounds good, so without your architect involved, you might do such a thing. Only, this “builder” requests a large up front payment and you, without someone there to guide and advise you, pay it, because you know you will eventually have to pay it anyway. Then your “builder” does a few things. You never see a project sign and never see a building permit. Your “builder” demands another hefty payment, then does nothing. Weeks go by. Your builder tells you he needs even more money from you to buy materials. You pay more. At this point, you have perhaps paid for 90% of your project cost and have only received about 15% of the construction. Nothing happens for several more weeks. You call your “builder.” His phone has been disconnected. Now you wonder what is going on. You call the building department. The local building official comes out to your site and says that no one ever pulled a building permit for what he sees there and he posts a “Red Tag” on your improvements and says that you are going to have to have it torn down, because what has been done there was without County review and approval and could be dangerous. Now you really start freaking out. You paid almost all your money for what you thought was going to be a great-deal builder and instead were scammed out of your money and all you bought was trouble. What to do? Well, if you had instead hired a licensed architect to design and administer your project, your architect would have known if any con artists posing as builders would have been involved. How? Your architect, as part of his Health, Safety & Welfare vow to the public when he becomes licensed, requires him to verify the licensure of any General Contractors who are being considered to build your project. Your architect contacts the State Board of Contractors and investigates. Your architect will know, in a matter of a few minutes, who is a real contractor and who is playing games. Your architect also checks the complaint record of the proposed contractors to see if they have had any problems, like not pulling permits for the projects that they build, or if their homes have fallen down! Wouldn’t you like to know that BEFORE you have a “builder” construct your house? And your architect knows how to professionally manage a project. He will request that the contractor’s pay requests go through him, the architect, before you even see them. Why? Because your architect is trying to protect you from any unscrupulous unlicensed “builder’s” over-billing, which is a sure sign of trouble. Your architect will check the billed amount from the contractor and look at the work that has been accomplished to date on your project site. If it appears that your builder’s invoice is in an excess amount of the work done, your architect will ask the builder to adjust his invoice to you to be lower, and in line with the actual amount of work done to date. And there are many more services that your architect can perform to help guard you against the con men of the World. It is well worth the architect’s fee to have him onboard, watching out for your interests. During the recent Hurricane Sandy, scores of people lost their lives in houses that fell down or were blown down. Houses that were not designed by architects. Houses that only likely adhered to “minimum code.” So if you think that “code” will save you; you’re wrong. Codes change when people die. Evidently more people need to die before the things that prudent architects do to protect their clients will become adopted as standard requirements. (C) Copyright 2005, Home Architect, PLLC, All Rights Reserved Worldwide. Steel strapping being used by the HOME ARCHITECTS in one of their projects, to keep the house strong during high winds and seismic events. Not typically required by minimum code, but used by prudent architects. 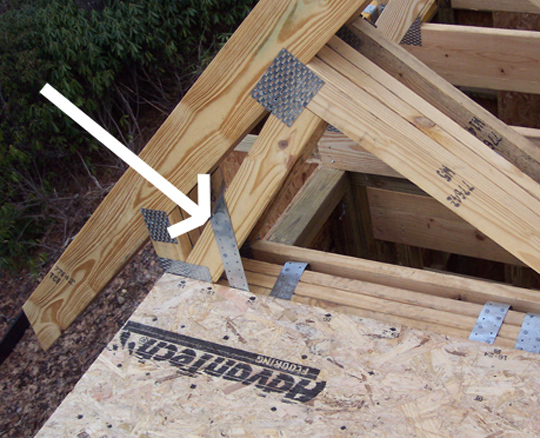 For example: steel strapping to secure all horizontal structural members, installed in a certain manner. This is not required everywhere, even though a tornado or hurricane can reach just about anywhere, if large enough. And there are seismic forces that also can have the same catastrophic results: a destroyed house. Here’s the important part: Architects typically design the houses they design STRONGER THAN CODE MINIMUMS. 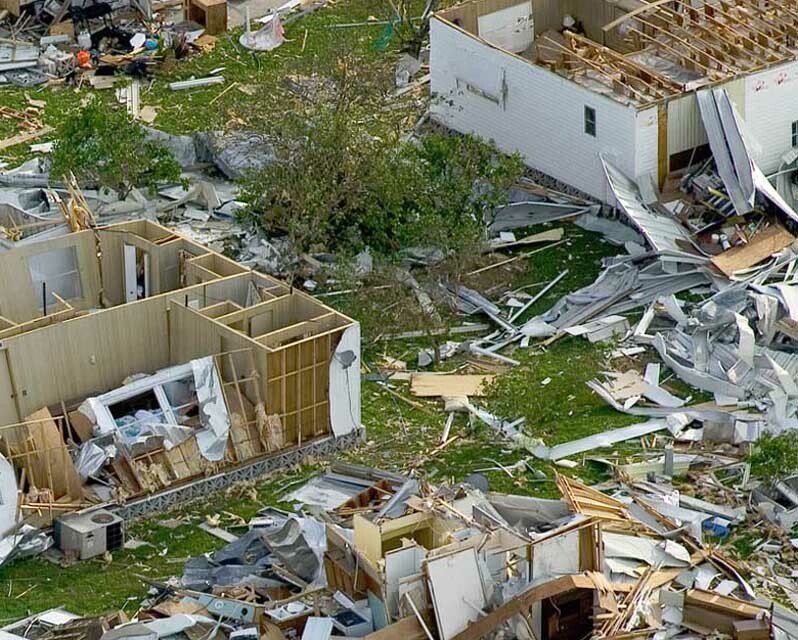 For instance, the techniques used by the HOME ARCHITECTS ® came from hard-won lessons learned during Hurricane Andrew, decades ago. No one told them to do what they do now. They simply learned why houses fell down during storms and what needed to be done to keep them standing tall and strong. You do not typically obtain this level of expertise from any other entity. Only a licensed REAL architect has any incentive to protect their client’s Health, Safety & Welfare. Nothing to do with business or profits or anything else. Architects take a solemn vow to have the best interests of their clients at heart, when designing their houses and buildings. And that’s the kind of philosophy you want at work for you. Wouldn’t you rather come home to your house, rather than an empty lot, during the next big storm? And wouldn’t you prefer to keep your arms and legs and loved ones safe? How much is that worth to you? Anything? Well, the good news is that residential architects are happy to design your house and do so on a reasonable basis. Free? No; of course not. But certainly a good value. Build a house design that will remain there, in good condition for a good long time, seeing you through good times and bad. A strong house. An architecturally designed house. : keeps your house drier & more energy efficient. HOME ARCHITECTS ® has, after decades of study and practice, updated their wall designs. They now have created their SupR-wall ™. This revolutionary wall builds on the success of tried and true layers and conventional stud wall technology, adding just a couple of new features that improve its thermal performance and water-shedding characteristics. Click here: SupR-wall to learn more. This state of the art wall system provides an unprecedented thermal value: R-27+ for a stud wall. It also uses a new, economical nylon fibermesh under the exterior cladding to shed water out of the wall section, before it can enter into the structural space. This effectively improves the durability and healthy lifespan of the wall, making it extremely difficult for water to penetrate the wall, or for any mold to ever grown in the walls. This results in a much healthier house and lower utility bills and less maintenance. to keep you out of trouble. This Architect will review your septic permits, in particular, looking for your Septic Construction Permit. 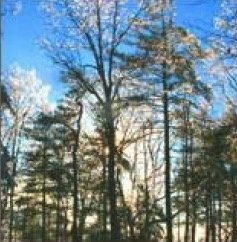 This is what you will need in order to Know that your site will support a septic system and that you can build it. If you will hire your Architect Before you buy your land, the Architect can guide you to request that the seller of the land have special tests performed, so that you KNOW that your land will work for a septic system. This is part of your Architect’s early due diligence, which can help save you thousands of dollars and prevent you from buying land that will not support a septic system. Having a “septic permit” does NOT guarantee that a septic system will be allowed on your land. Only having a Septic Construction Permit does that and we look for that, with your best interests in mind. Your Architect can save you many times the cost of his fee during the life of your house, just for roofing alone. Please click here for related article proving this with a hard numbers analysis–> Value of an Architect : Roofing. What this related article will share with you is that your Architect can save you over $50,000 (or more than 11.2% of the original cost of your house) during the house’s lifetime, which can add up to significant savings, just because you used an Architect to design your house who knew what he was doing. Get your design from an Architect. Believe it or not, this is a true representation of a situation that is occurring, right now, in various locations in the USA, brought to ArCH’s attention by some of their members who have to deal with this on a daily basis. 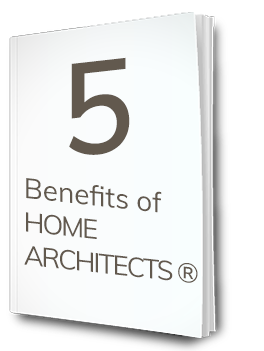 ArCH: Architects Creating Homes, is a national association of American licensed Architects whose main mission is: Improving Residential Architecture. The Builder’s efforts at design are usually not as a effective as an Architect’s efforts will be. The Builder may not investigate the Lifestyle or the Land; they can simply grab an old roll of prints off a dusty shelf and throw that on their desk and say: “Here: how about this?” Then the hapless homeowners (let’s call them Doug & Wendy) stare at what the Builder has previously done for someone else and is the same house that he/she builds for most of their customers. And he mentions a lowball price to build it. Strike 1. LACK OF DESIGN CREATIVITY TO SUIT YOUR LIFESTYLE & LAND. Okay, so Doug & Wendy manage to jam their dreams into the container offered by the Builder and now the Builder says he will price it out. Time goes by. Doug & Wendy look surprised, thinking they were buying their house like they would a loaf of bread in a store, where there is the price on the label and they buy it and enjoy it. Not so with a house..”How much more?” they ask. The Builder turns down the corners of his mouth and breathes deeply, then says: “Looks like due to lumber escalation, taxes, HVAC equipment, cost of fuel, my labor, and in general, upward prices, we’re going to have to charge you another $250,000.” The Builder leans back and looks straight into the eyes of his customers. Doug makes a move to go around the Builder, to be able to grab what he thinks are “his plans.” The Builder stands up, between Doug and the rolled-up set of drawings. Doug stops and Wendy looks frightened by the tension in the air. Red-faced and nearly apoplectic, Doug backs away from the Builder and retreats to his wife. Now, they’re starting to understand the disadvantages of having design provided through a Builder: no price-shopping possible. And you can be held hostage to whatever price increases that Builder may wish to charge…if you want to use his company’s old prints. Doug & Wendy storm out of the Builder’s office, stiffly walk to their car and burn rubber leaving the parking lot. Strike 3. 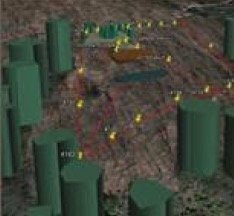 CHEAP INTERNET PLANS DON’T INCORPORATE YOUR CUSTOM NEEDS, OR YOUR LAND, ARE LACKING IMPORTANT DETAIL, LACK SPECIFICATION DATA AND MAY NOT BE APPROVED BY LOCAL BUILDING DEPARTMENTS. Doug & Wendy join hands and look into each others’ eyes. “What are we going to do?” Wendy asks no one in particular, more a plea to the Universe. Doug suddenly stands up. “What?” asks Wendy. “Yeah, so? Was it for the Plumber or something?” asks Wendy. “Well, we certainly can’t afford to have a Builder horse us around, jacking up prices with impunity,” says Doug, grabbing his car keys. Wendy and Doug dash to their car and drive to the new house construction site. There, at the new house project site, Doug & Wendy exit their car. They approach the Architect’s site sign. Doug pulls a pen and scrap of paper from his pocket and writes down the Architect’s email address, website URL and phone number. “Can I help you?” comes a voice behind them. Doug & Wendy smile, greatly relieved that they are now in the hands of a licensed professional Architect who has their best interests at heart. And: they’re going to get a custom design that suits their Lifestyle & Land perfectly, then they’ll be able to competitively bid it, in order to obtain the best construction price possible. They have realized that the cost of an Architect is a true value, and only pennies, compared to the big dollars involved with the construction costs. Being able to take their design and price shop the construction bids is a huge advantage.